There is a new commercial! It will be aired in February and during Merrie Monarch. 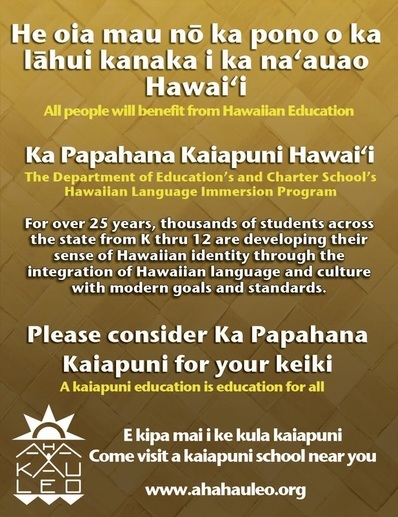 Here is the ad seen in the OHA newsletter, Ka WaI Ola. These video commercials were broadcasted during Hawaiian event such as Nā Hōkū Hanohano Awards and the Queen Liliʻuokalani Keiki Hula Competition. 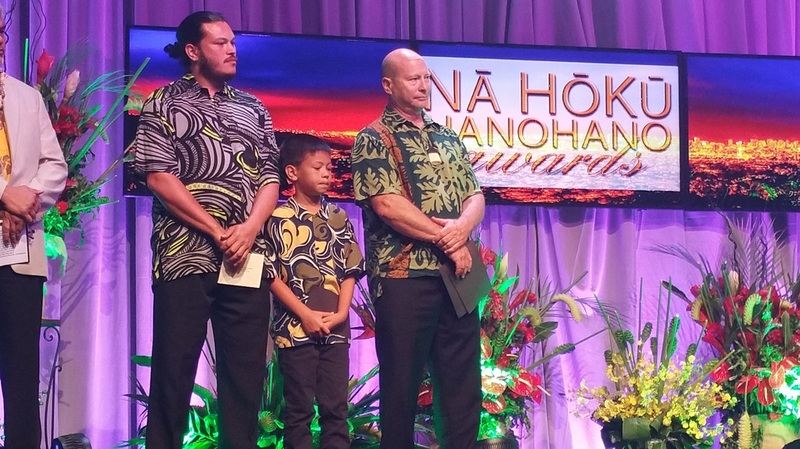 Mahalo to Kamoaʻe, Kaʻanoʻi and Kapiko Walk for representing the ʻAha Kauleo and presenting the ʻōlelo Hawaiʻi award at Nā Hōkū Hanohano awards. 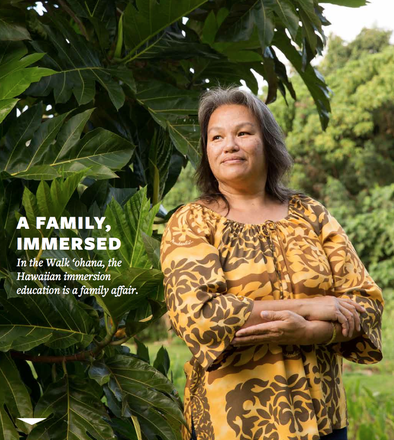 In March 2015, Kaʻumealani Walk was featured in an interview about her family and their kaiapuni experience. Here is the article which was published in Mana magazine.